candidate expenditure | Stop Dog Whistle Racism! New McCain Line: Obama’s taking your money to give to his welfare-lovin’ peeps. Judis could see it yesterday before McCain uncorked this latest belch of his filth. There’s a new meme in the presidential race: The Internet is helping expose dirty tricks, enhance campaign accountability and punish the purveyors of dog-whistle sleaze. Such web luminaries as Arianna Huffington and Micah Sifry pushed that argument this week. 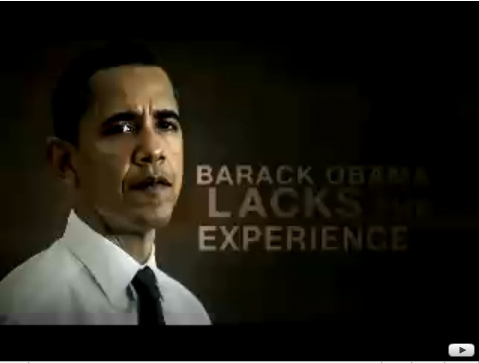 The Obama campaign agrees. The determination of Republicans to get racially-inflected themes embedded in the minds of voters in the home stretch of this presidential campaign is truly impressive. The latest example is the noise being made by the McCain campaign about Virginia Gov. Tim Kaine’s restoration of voting rights to a small number of non-violent felons. The lies here are pretty amazing by any standard. Virginia actually has the strictest standards in the nation for restoration of voting rights by non-violent felons; it’s one of just two states (the other is Kentucky) that permanently disenfranchise all felons, violent or non-violent, with action by the governor being necessary to restore rights. And note the word “non-violent” in terms of Kaine’s actions: Virginia isn’t restoring rights for “attempted murderers, kidnappers, rapists, armed robbers and wife beaters,” as McCain’s flack knows full well. The fishiest thing about this “story” is why it’s coming up in the final phases of the presidential campaign. The Washington Times published an inflammatory article on this subject three weeks ago, and the McCain campaign refused to comment on it. Now they are out there pushing it hard, as polls consistently show the Republican trailing Obama in Virginia. I don’t think that’s a coincidence. Any time you’re getting into beefs with Fox News, you’re in trouble. You know how I know this dude is in trouble? He keeps playing “the race card” card with Lewis, and that ain’t even working. Remember when that was supposed to be kryptonite for Obama? No one cares, now. People are scared They are losing their homes. They are losing their retirement. They don’t now how their going to send their kids to college. No one has time for this. I never expected McCain to become such a small, small candidate.